As one of the stars of the film, Laura Harrier was on hand for the premiere of 'BlacKkKlansman' at the Brooklyn Academy of Music in New York yesterday evening(July 30th). 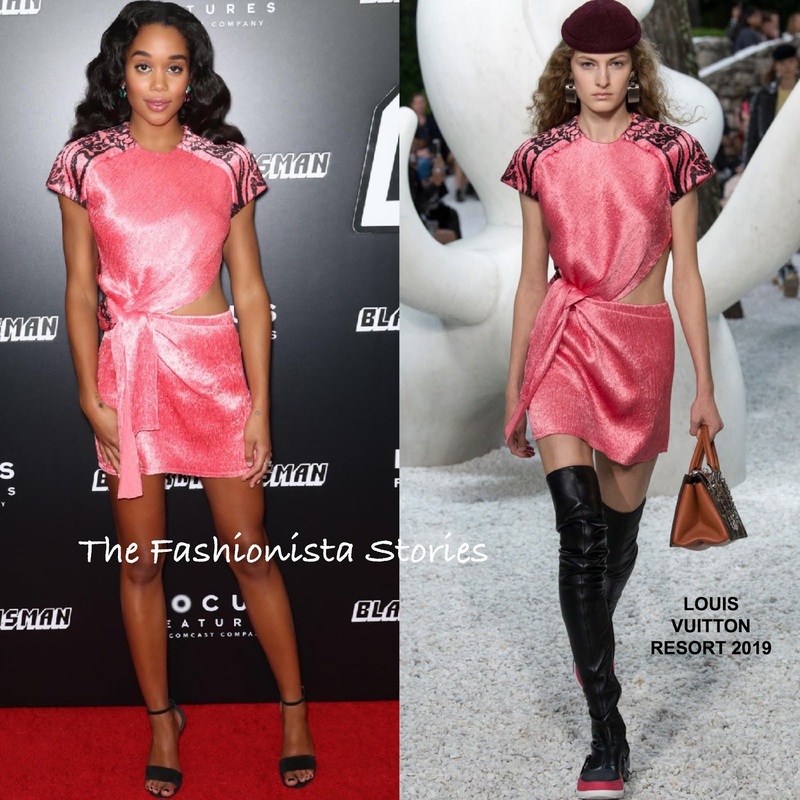 Showing a little midriff, she wore a LOUIS VUITTON RESORT 2019 pink mini dress, featuring contrasting black printed sleeves, a cutout waist and a draped panel. Laura knows how to pick the flirty LV pieces that works in her favor and this number was no different. Off-the-shoulder waves, green & pink stone earrings and black ankle strap sandals finished up her look.